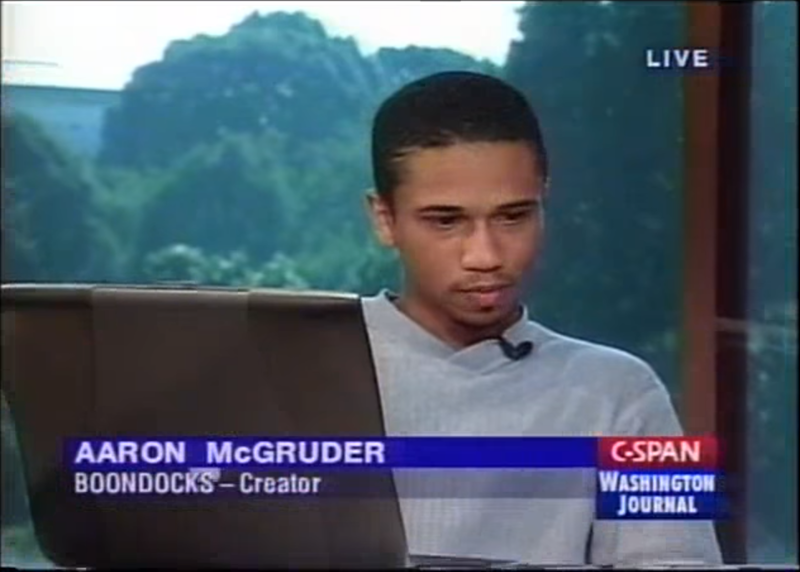 I came across a 45 minute Washington Journal interview with Aaron McGruder. What's interesting is that it aired on July 5, 1999, only a little over two months after the strip debuted nationally. So it was well before Boondocks became as popular as it was. McGruder notes that it's only in about 200 papers at the time of this interview (with the caveat he also notes that dailies and Sundays are counted separately). McGruder's does not seem very comfortable speaking on live TV and much of his personal confidence as a well-known cartoonist personality hasn't really developed yet. Just a fascinating time capsule of the environment Boondocks launched in.